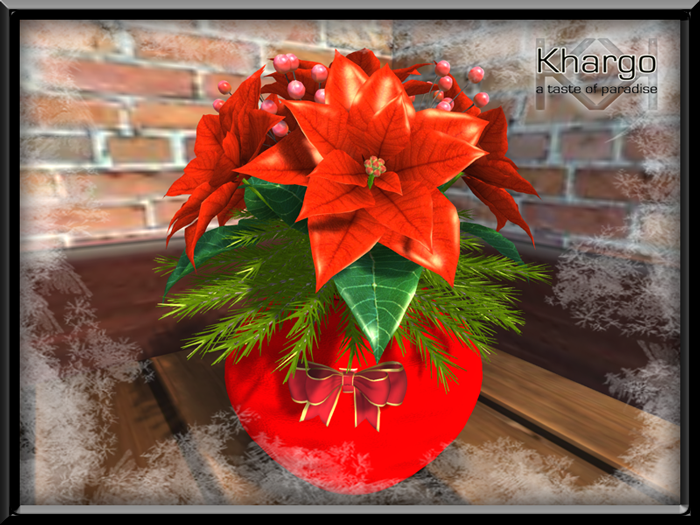 Khargo Christmas Market has opened and to celebrate we are introducing the Christmas Dining Set for My 60L Secret this weekend. Enjoy a romantic celebration dinner for 2 with our Christmas Dining Set. 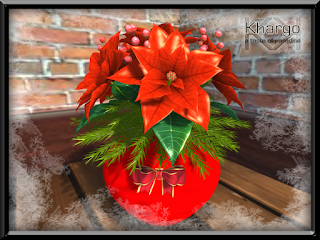 Find this item at our new Christmas Market in world or on the Marketplace. 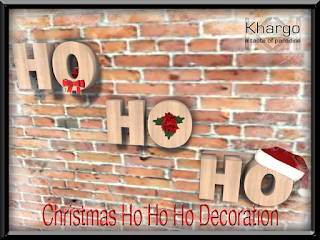 Hang your stocking with care on our cute Stocking Holder. 2 versions with filled and unfilled stockings included. 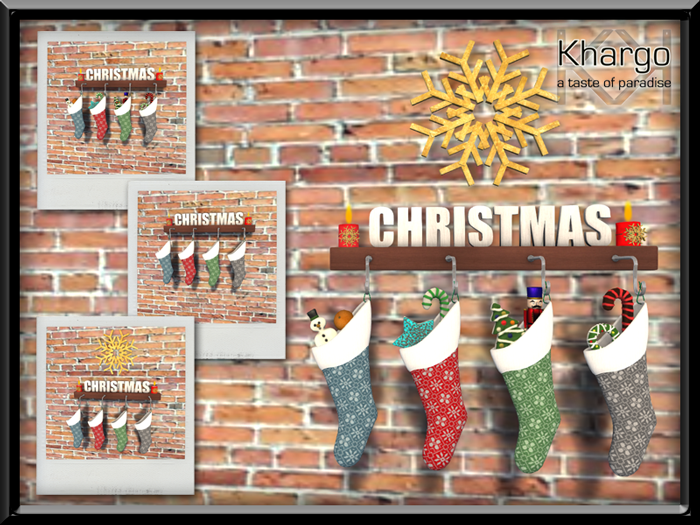 Christmas Stockings to hang by the fireplace. 4 stockings in different colourways. Fun, Christmas themed decorated shelf. 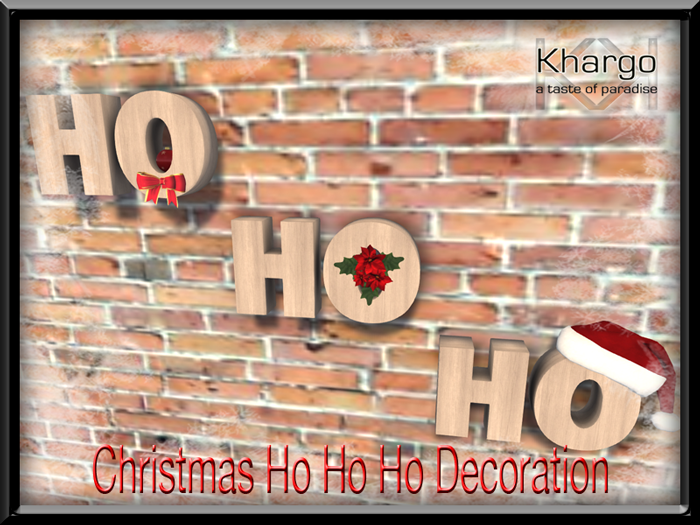 Decorate your walls this season with our cute Ho Ho Ho Wall Deco. 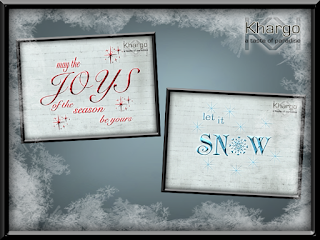 Cute box shelves with christmas decorations. 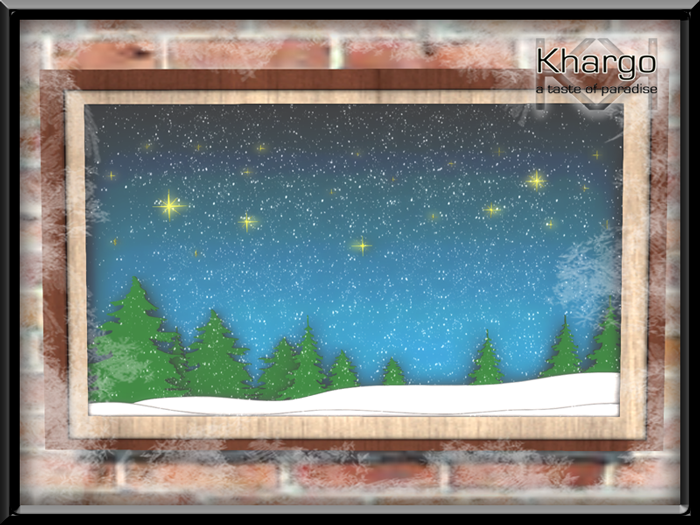 A seasonal animated picture, perfect for festive decor. Free on the Marketplace, 2 wall decals with a festive flavour.